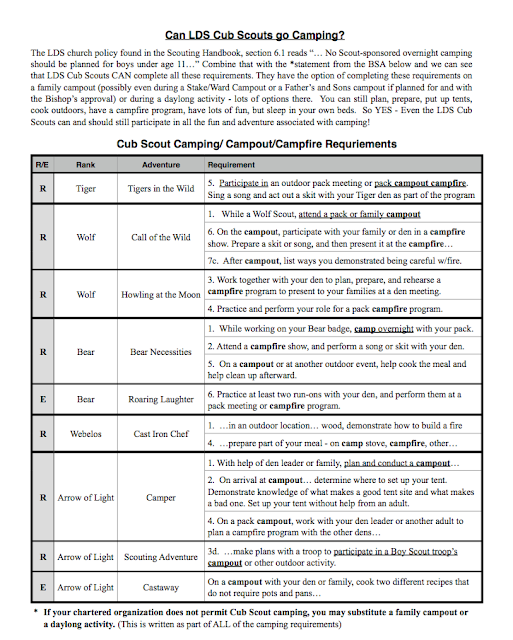 Akela's Council Cub Scout Leader Training: Can LDS Cub Scouts go Camping? 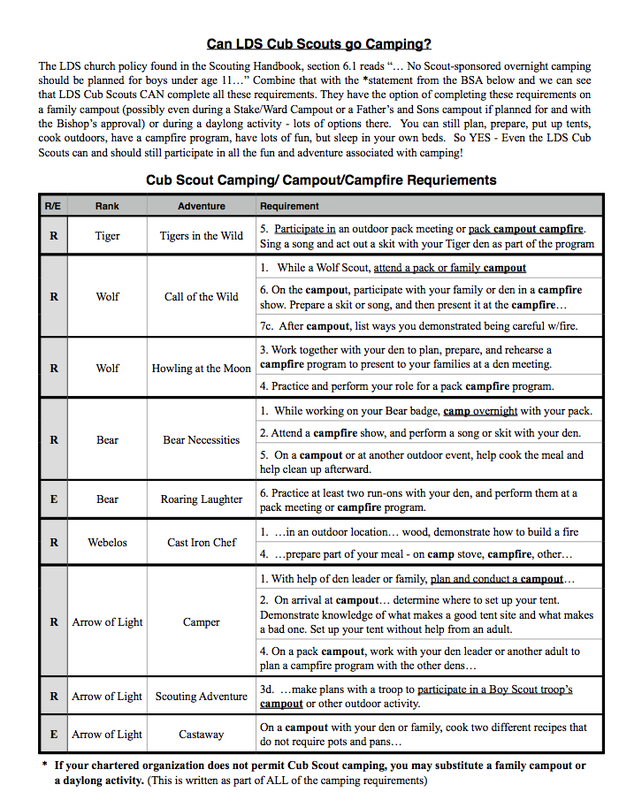 Thanks to Annaleis Smith from the Utah National Parks Council who shared this document with us... Can LDS Cub Scouts go Camping? The LDS church policy found in the Scouting Handbook, section 6.1 reads "... No Scout-sponsored overnight camping should be planned for boys under age 11..." Combine that with the statement from the BSA below and we can see that LDS Cub Scouts CAN complete all these requirements. They have the option of completing these requirements on a family campout (possibly even during a Stake/Ward Campout or a Father's and sons campout if planned for and with the Bishop's approval) or during a daylong activity - lots of options there. You can still plan, prepare, put up tents, cook outdoors, have a campfire program, have lots of fun, but sleep in your own beds. So YES - Even the LDS Cub Scouts can and should still participate in all the fun and adventure associated with camping!